Flask is a free and open source micro web framework for Python designed to help developers build secure, scalable and maintainable web applications. It based on the Werkzeug, Jinja, MarkupSafe. It was originally created in 2010 and has since powered some of the largest websites on the internet. Unlike Django, by default Flask doesn’t include ORM, form validation or any other functionalities provided by third party libraries. Flask is built with extensions in mind, which are Python packages that add functionality to a Flask application. 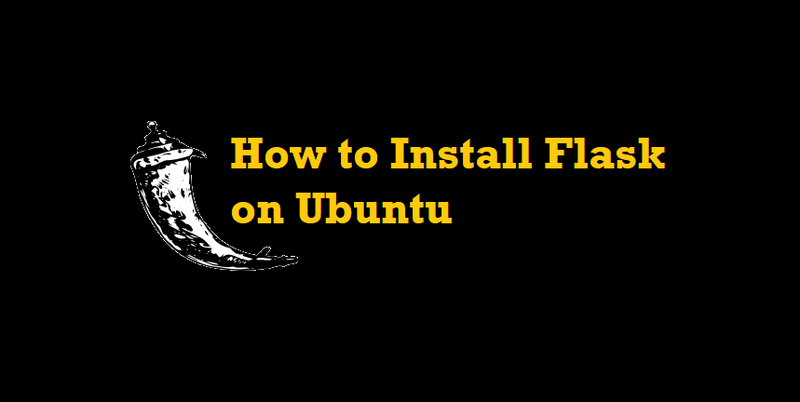 There are different methods to install Flask, depending on your needs. It can be installed system-wide or in a Python virtual environment using pip. The main purpose of Python virtual environments is to create an isolated environment for different Python projects. In the way multiple different Flask environments on a single computer and install a specific version of a module on a per project basis without worrying that it will affect your other Flask installations. But If you install Flask into the global environment then you can install only one Flask version on your System. These distributions will be installed automatically when installing Flask. Werkzeug implements WSGI, the standard Python interface between applications and servers. Jinja is a template language that renders the pages your application serves. MarkupSafe comes with Jinja. It escapes untrusted input when rendering templates to avoid injection attacks. ItsDangerous securely signs data to ensure its integrity. This is used to protect Flask’s session cookie. Click is a framework for writing command line applications. It provides the flask command and allows adding custom management commands. Now You can create a virtual environment for our Flask application. Navigate to the directory where you would like to store your Python 3 virtual environments. It can be any location where your user has read and write permissions. Within virtual environment, you can use the command pip instead of pip3 and python instead of python3. We will create a simple hello world application which will just display the text “Hello World!”. The command above will launch the development builtin server. If you use Flask with virtual machine and you want to access Flask development server then you cnn make the server publicly available by appending --host=0.0.0.0 to the flask run command. Open http://127.0.0.1:5000 in your web browser and you will be presented with the “Hello World!” message. After finishing your work, deactivate the environment. Visit the Flask documentation page and learn how to develop your first Flask app. If you have any question, please leave a comment below.